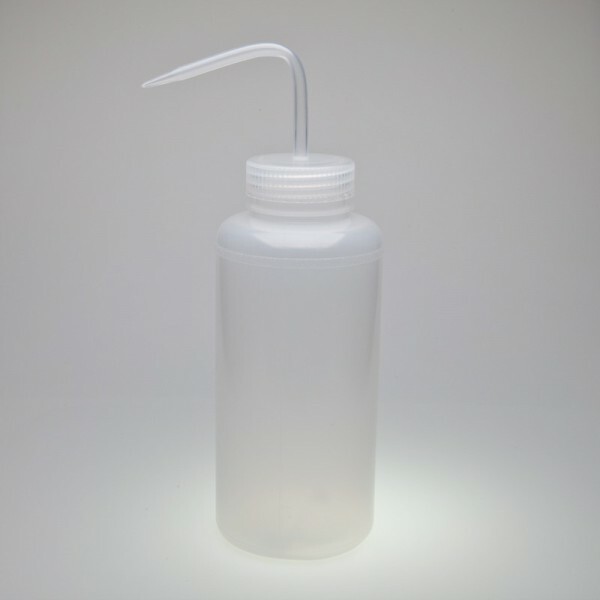 Wide-Mouth Wash Bottles NATURAL OR COLORED CAPS Low-Density polyethlyene wash bottles have color-coded polypropylene closures for easy identification and wide mouths for easy filling. Choose from: Natural, Red, Yellow, Blue and Green in 250, 500 or 1,000ml. Natural also available in 125ml.